Catalina Maria Johnson » New Music! ¡Rolas nuevecitas! 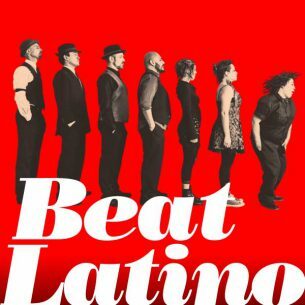 http://beatlatino.s3.amazonaws.com/New%20Music%2C%20Nuevas%20Rolas_Beat%20Latino%20with%20Catalina%20Maria%20Johnson.mp3 Download this Episode of Beat Latino (MP3) This week’s Beat Latino delves deep into the new sounds of the supremely eclectic Latinx musical universe! It’s a wild and wonderful time for nuestra música , with cumbia-gone-rogue from Bay Area-style from Bang Data, afrobeat mambo gone-equally rogue from Oakland, Cali’s La Misa Negra, sunny crooning from Chilean-Mexican Adan Jodorowsky, magnificent pairings such as Lila Downs and Ana Tijoux (Mexico and France-Chile) and new Cuban-tinged Caribbean grooves from Tanga (Vancouver, Canada) and much more! The sounds are all over the map, in more ways than one! Enjoy! Feature photo: La Misa Negra, Courtesy of the Artist.